After many years of honing techniques to help young women develop the key habits of personal safety, there is one, in particular, that always stands out. And no, it doesn’t involve any gouging or kneeing or scratching. (Not that there’s anything wrong with any of that!) Actually, this particular technique doesn’t require any physical effort at all. Instead, it is powered entirely by the mind. It’s practiced by elite performers in nearly every field you can imagine — Olympic athletes, world-renowned surgeons, virtuoso musicians, and even military special forces. The technique is called Mindsetting. And, even though it was developed for top-level performers, you don’t have to be exceptional or gifted in any way to use it. In fact, its application is remarkably simple. To ensure that your daughter knows what to do if she’s ever in a dangerous situation, you’ll want to introduce her to this technique right away. 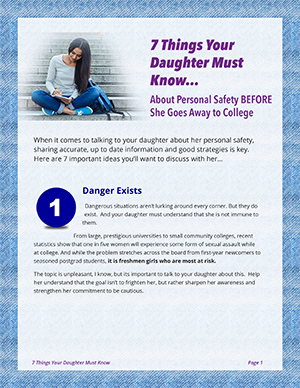 After choosing a specific kind of threat you want to work on with your daughter– “being followed” or “being approached in a parking lot” or “confronted in an elevator,” etc.– the first step is to simply have her picture herself in that exact situation as vividly as possible. Let’s use the elevator scenario as an example. Having your daughter be able to picture herself in this scene (or one like it), is the first step in Mindsetting. And while it’s important to recognize that 99.9% of the time, this will end perfectly fine, you’ll want her to know what she can do to protect herself just in case something bad happens. Then, explain that if the worst should happen and she is confronted or attacked, she’s in the perfect position to quickly press as many of the buttons on the control panel as she can. This will cause the elevator to automatically stop on each floor, giving her repeated opportunities for escape. Now, should she ever find herself in a situation like this, she’ll have a simple, easy to follow, concrete plan of action that she can rely on. In this final step, you’ll again want your daughter to imagine herself experiencing the elevator scenario as vividly as possible. This time, however, she will also visualize the attack and the protective strategy you taught her in step 2. Have her walk through the entire scenario, in her mind’s eye, visualizing herself fearlessly following the plan you’ve presented. In addition, explain that she must always see herself being successful in the end. Going through this process with your daughter even just once builds confidence. Doing it repeatedly embeds the response permanently. By introducing her to these three simple steps, you will have armed her with a powerful mental training technique to help her prepare for any situation she may have to face. 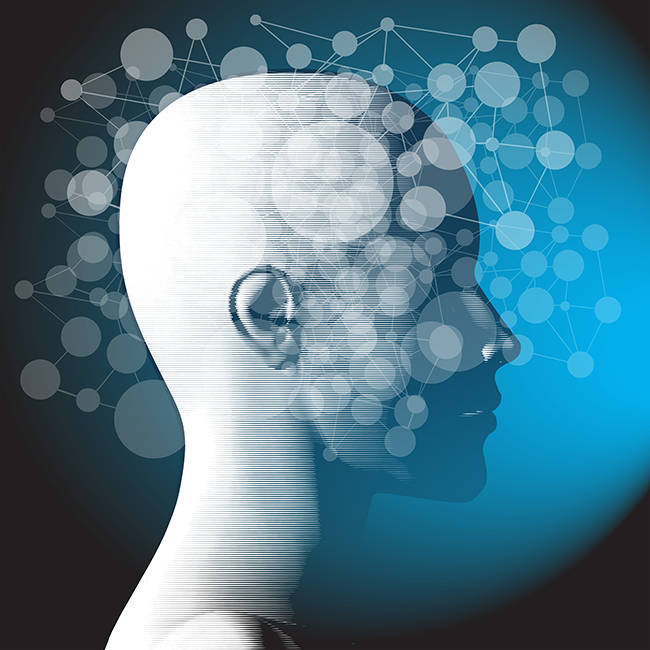 The best part is that Mindsetting requires no extensive training or special equipment. You can introduce it to her in a matter of minutes. And since it all takes place in the privacy of her own mind, she can practice anywhere, anytime without even breaking a sweat. In the end, she comes away with a greater sense of personal power, confidence, and self-reliance. You come away with peace of mind, knowing she’s aware, prepared and mindful of her safety. This entry was posted in Safe Living on August 7, 2016 by Brad Michaels.